A time-tested staple of criminal practice in the District of Columbia. 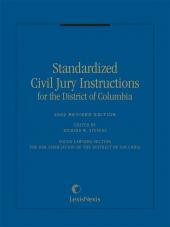 Criminal Jury Instructions for the District of Columbia, also referred to as The Red Book, has been a practice staple in the District of Columbia courts since 1966 for both practitioners and judges and is the authority in this area. Now in its fifth edition, this portable loose-leaf volume is organized with numerical tabs for each subject area, making even courtroom access quick and easy. 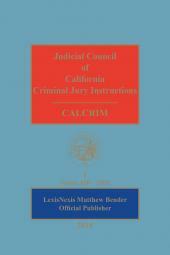 Criminal Jury Instructions for the District of Columbia is an ideal reference companion for criminal practitioners and members of the courts as well as public defenders and district attorneys who appear in D.C. local and federal courts. Following a lengthy career as a practitioner, Barbara Bergman became a Professor of Law at the University of New Mexico School of Law in Albuquerque where she currently teaches criminal procedure, criminal law, evidence, and trial practice. She is a Stanford Law School graduate.